This is the place to register for current Xbox LIVE events, including Xbox LIVE Play & Wins, Xbox LIVE Download & Wins and Xbox LIVE Tournaments. 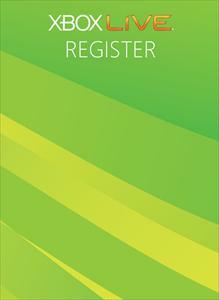 Register for your favorite Xbox LIVE event by simply downloading the matching registration gamerpic. Don’t forget to check out the rules for your Xbox LIVE event for full details including how to earn entries as well as prize details. Downloading this theme registers eligible gamers for the Marines Sweepstakes. NO PURCHASE NECESSARY. Open only to legal residents of the 50 US or DC 18-29. Entry Period Starts: 09:01 a.m. Pacific Time (PT) on 07/02, and ends at 11:59 p.m. PT on 08/10. By downloading this item, you are allowing Microsoft to contact you from time to time about this Sweeps. For details including free, alternate method of entry, see http://www.xbox.com/marines By downloading the Marines registration theme you agree to receive a one-time email communication from Xbox and the US Marines. Your existing Xbox communication preferences will not be changed. Downloading this theme registers eligible gamers for the Marines Sweepstakes. NO PURCHASE NECESSARY. Open only to legal residents of the 50 US or DC ages 17-29. Entry Period Starts: 09:01 a.m. Pacific Time (PT) on 06/02, and ends at 11:59 p.m. PT on 07/01. By downloading this item, you are allowing Microsoft to contact you from time to time about this Sweeps. For details including free, alternate method of entry, see http://www.xbox.com/marines. By downloading the Marines registration theme you agree to receive a one-time email communication from Xbox and the US Marines. Your existing Xbox communication preferences will not be changed.